Here are just a few of the many ways in which hydroponics are changing the farming industry for the better. With a steadily growing global population, resources are running thin. 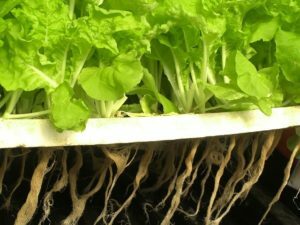 Hydroponic agriculture involves leading-edge technology that could potentially solve future food problems and allow food to be grown in areas that it normally could not be harvested. Hydroponic farming can help solve this issue by using water to grow produce instead of soil, opening up a world of possibilities for how it can be used to solve agriculture issues. Here are just a few of the many ways in which hydroponics are changing the farming industry for the better. With the use of technology, produce can be grown at a much faster rate with hydroponic agriculture. By using nutrient solutions, electric lights, heaters, and other equipment, the growth of plants can be sped up. This means that more plants can be planted and then harvested in a shorter amount of time, increasing overall productivity and making sure more people have access to healthy food. A farm with hydroponic capabilities is more efficient than the traditional farm in that it used 10% of the water required for traditional farming methods. This is because the water that is used in a hydroponic facility can be recycled. Since hydroponic systems are in closed facilities, not as much fertilizer is needed for individual plants. Another advantage of being indoors is that harmful chemicals like pesticides don’t need to be used at all to protect plants. When it comes to the future of agriculture, hydroponics is a step ahead because hydroponic facilities can be constructed nearly anywhere. This means that areas that don’t have the ability to sustain traditional farming methods now have a way of growing and harvesting fresh produce all year round. This concept is already being utilized in urban farming facilities all over the world. Baywater Farms is a sixth-generation family-owned and operated farm servicing Baltimore, Washington, D.C., Hyattsville, Salisbury, Maryland, Delaware beaches, and the Eastern Shore. Baywater Farms is capable of meeting the demands of your produce distributor, restaurant produce supplier, CSA produce supplier, or wholesale produce supplier while maintaining the integrity and character of a small farm. Baywater Farms is about more than just hydroponic lettuce—we also grow heirloom beefsteak tomatoes, shishito peppers, hydroponic custom-blended spring mix, custom grows, radish mix, Maryland’s own fish peppers, and more. When you work with Baywater Farms, you work with an experienced, ethical, and local farm dedicated to providing the highest-quality heirloom produce possible. If you’re looking for the best-tasting produce, contact us today! Reach us by phone at (443) 783-4185. Follow us on Instagram, YouTube, and Pinterest! Be our friend on Facebook, and follow us on Twitter and Google+. This entry was posted on Friday, June 8th, 2018 at 12:13 pm. Both comments and pings are currently closed.